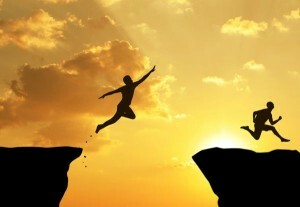 We at Addiction Canada feel the need to overcome the low success rates of 12 Step based programs and have developed a highly regarded non 12-Step cognitive program that not only empowers the individual in their own unique recovery program but is designed to give a solution based cognitive approach to the individual’s problems that will get to the root cause of his or hers addiction. Call us today to discuss why Addiction Canada’s new program will have some of the highest success rates in Canada. The growing variety of recovery experience in Canada underscores the need for people concerned about alcohol and other drug problems to become serious students of these divergent recovery strategies. More specifically, it suggests the need for addiction treatment programs and allied helping institutions forge formal linkages with these new recovery support groups and for professional helpers to b ecome intimately familiar with the operation of such groups. All recovery support groups have individuals who optimally respond, partially respond, and fail to respond to the group’s particular approach to recovery initiation and maintenance. Optimal responses could be increased through better matches between individuals and particular support groups. This would require greater professional and public knowledge of recovery support alternatives and encouragement of a philosophy of choice related to recovery pathways. Acquiring such knowledge and adopting such a philosophy have been limited in part by the sparseness of professional and lay literature on alternatives to AA. We here at Addiction Canada have this program unique for its clients and base its entirety on the basis of Empowering Your Self: The Addiction Canada Approach to Addiction Recovery. The outline of this program is one that is designed to take the broken person and to in a sense help them fix themselves and to discover the underlying issues which ail them. The concept is unique and not offered anywhere else in the addictions field. 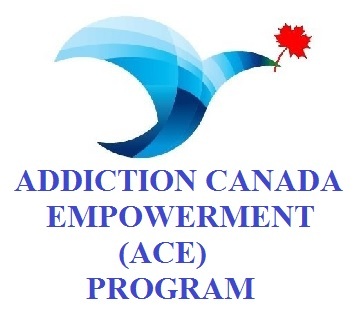 The Addiction Canada Empowerment (ACE) program deals with these issues clearly and forcefully and in ways that help distinguish our program from straight 12-step programs. This program is intended to Empower the individual rather than to convert. Not everyone will at first understand Self Empowerment as a concept of Recovery but for the past several years individuals and families have used Addiction Canada programs as an effective framework to initiate and maintain long-term recovery from life-impairing addictions. Those recoveries are cause for celebration, and this program will be the next step up and further ensure a higher percentage of recoveries overall. Those seeking a solution to alcohol and other drug problems and professionals assisting people with such problems will find great value in the Addiction Canada ACE program.